How to make Dreadbag watertight? Home How to make Dreadbag watertight? We have a lot of inquiries about how to do waterproof and waterproofing of your Dreadbag. 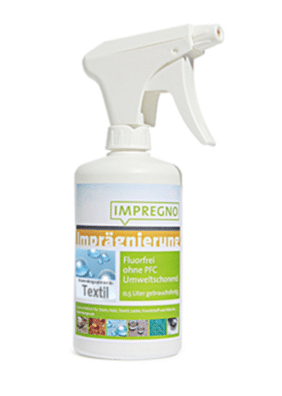 We recommend the eco / biological (biological) impregnation sprays of Impregno Textile, Fibertec Green Guard Spray on or Swix Sportbecause they are 100% eco / bio (biological) and therefore not or less harmful to nature and humans. All of these impregnation sprays are biologically, fluorine free and PFC free. Who wants to leave chemistry on his hair (dreadlocks), skin and on his dreadbag, that's why the eco / organic (biological) version - that's better for man and nature! is a fluorine-free Hydrophobic agent for application to textiles. Also ideal for your outdoor gear. Protect your textiles and high-tech fabrics permanently from moisture and dirt. Breathability and membrane function are retained. This special impregnation renews the water-repellent impregnation layer long-lasting and offers protection against new contamination. Water simply drips off and does not penetrate the tissue. This significantly prolongs the life of your textiles. The impregnation has a high abrasion resistance. The product is insensitive to weak acids. Spray, leave to work and the impregnation is done - no dryer necessary! IMPREGNO ... the latest generation of environmentally friendly impregnating agents. "We have been testing this ecological / biological impregnation spray for over a year at our Dreadbags and can recommend it with very good conscience." The Eco Textile Proof 500 ml by Swix (Mammut) is an ecological impregnation for high-quality weatherproof clothing. 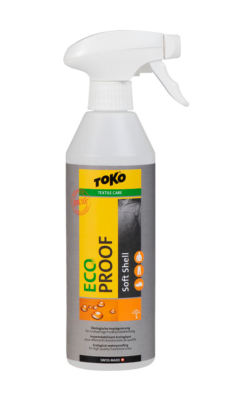 The Impregnation Spray Eco Textile Proof 500 ml Impregnation Spray protects against moisture and dirt without compromising the functionality of breathable membrane textiles (eg Gore Tex). Thanks to novel active ingredients on a flour-free basis, the textile spray is particularly environmentally friendly and readily biodegradable. Application: Spray, leave to work and the impregnation is done - no dryer necessary! Fibertec GreenGuard SprayOn is a particularly environmentally friendly impregnating agent with a biodegradable PU-based active ingredient. It contains no fluorine. The impregnation is highly water-repellent on all functional textiles. GreenGuard is recommended for the treatment of GORE-TEX and other membrane textiles. Due to its outstanding ecological balance and effectiveness, GreenGuard Spray-On 2009 has been awarded the Outdoor Industry Award in the category "environmentally friendly and sustainable products" as well as in 2010 with the Editor`s Choice Award of the outdoor magazine. Issue 5 / 2011 single review: "Holds what it promises - well-functioning, lightning-proof eco-impregnation agent at a fair price. Environmental protection has never been so easy. " We ourselves and many customers have already applied it and the practice has proven that it works perfectly on a natural eco / bio basis. All dreadlocks (dreadlocks caps) lose neither their shape nor their color. So everything is save for Dreadbag, Man & Nature! 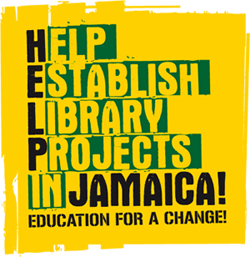 Our tip - less is more! 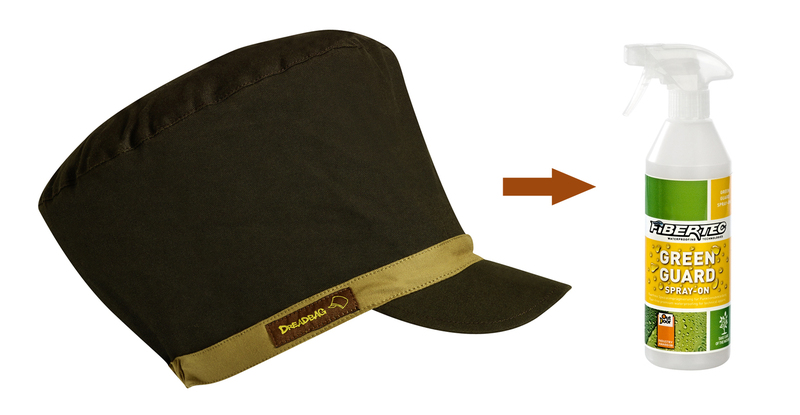 A bottle of Impregno textile (500 ml), Fibertec Green Guard or Swix Sport lasts approximately 1-2 years (15 square meters) - Of course this depends on the regularity of the application - We recommend reading the instructions and about every 2 months the Dreadbag ( Dreadlocks cap) to re-impregnate, so it remains waterproof in the long run. You can also wash the dreadbag at any time by hand (better) or in the washing machine at most 30 ° (gentle program - in a pillow case) to remove the impregnation protection again. Impregnated (1-2 passages), only the outer surface of the dreadbag, since this is completely sufficient - Everything else is exaggerated - only costs your money, harms man and nature - The motto is: "Less is more!" Caution - Despite eco / organic! Please bear in mind that the inhalation of impregnating spray, whether organic or not, can be harmful to the lungs, so please only impregnate outdoors or with good ventilation! Spray only a few seconds, impregnate at a safe distance and allow to air well. Please keep away from children - Please read the instructions carefully! Any questions about bio impregnation sprays? 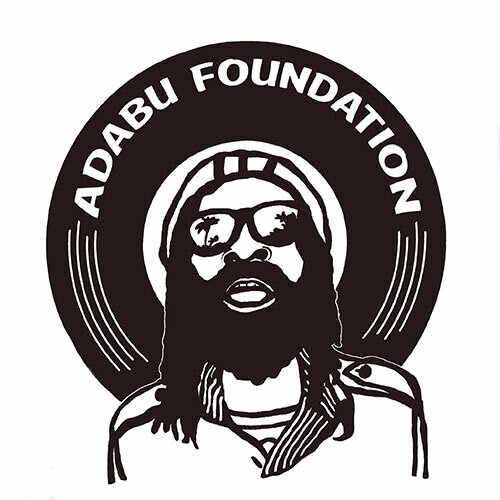 If you have any further questions about the dreadbag (dreadlocks cap) should have impregnated, then write us or call. We look forward to your emails or calls. 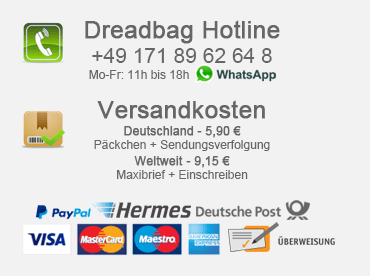 Dreadbag.de comments off waterproof for Dreadbag - with what and how?